There are times when a couple only needs personal flowers-bouquets, boutonnieres and family flowers. I only take a few on each season. Here are some from June. Love how each of these turned out, all different styles and specific to each gorgeous bride. Cheers to the happy couples! Elsie & David live in Utah. It was so fun getting to know Elsie and what she is wanting for her and her bridesmaids. I love how these bouquets turned out. Controlled with a little flowing greenery. The bridesmaids wore gorgeous soft blush dresses that complimented the white and blush bouquets. Elsie's bouquet had a splash of peach. Her dress was beautiful, love that cut! Such a sweet couple and amazing pictures! Emily & Peter only needed personal flowers, guest sign in and an altar/sweetheart table arrangements, because Emily made the coolest paper flowers for their centerpieces. I think that is such a creative and great idea that turned out amazing. 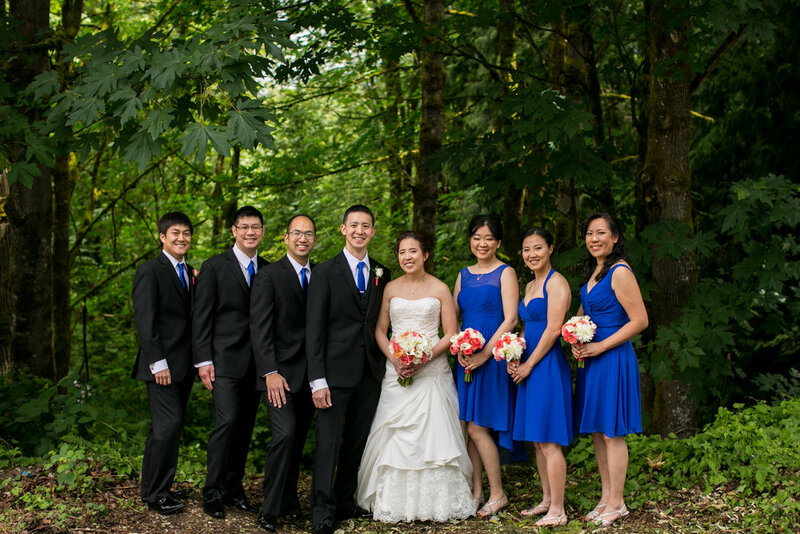 Their ceremony was at a church in Issaquah with the reception moving to the Seattle Aquarium. So happy I was able to help this sweet couple on their special day. 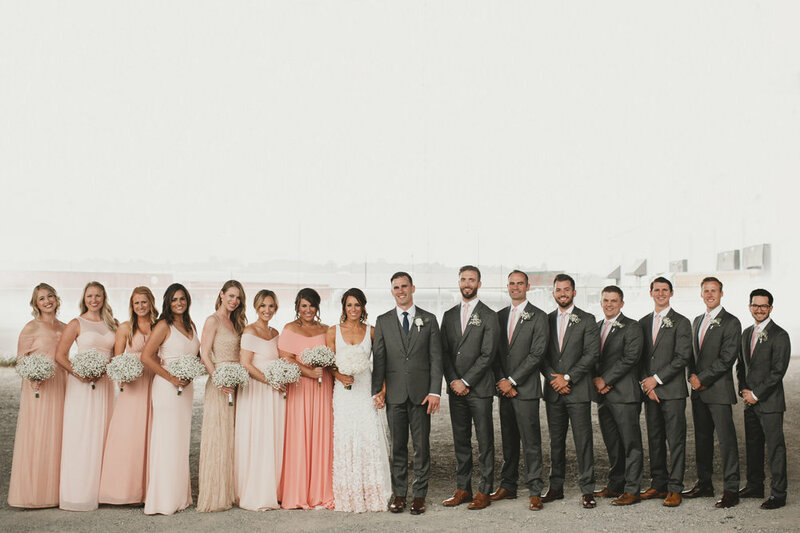 Shades of soft pink for the bridesmaids, simple bouquets and the bride's ombre dress...That dress!!! I didn't just get to do the personal flowers, but I also designed the rehearsal dinner flowers. I love the soft romantic textures and colors Mackinzie chose to go along with this amazing venue. So happy to be apart of this gorgeous day!